will be happening on the 2nd of February, at Stadium Putra Kuala Lumpur is getting closer each day. 1) Two World Class Brands Set to Lead MMA in Asia! ONE FC was generous enough to give me 5 pairs to giveaway! How to win yourself a pair? 5) Tell me how much you want to see the show in the comments below. 6) You may only comment once. via e-mail and will be announced on facebook & twitter. Winners will collect their tickets at the booth before 7pm at Stadium Putra KL. Wow, so everyone is suppose to post this contest at the same time, huh? Haha nah... i think it's just coincidence. I want to experience heart-stopping actions with combination of Muay Thai, Kung Fu, Silat and other martial arts all in one bout. I want to see this show to provide Peter Davis unconditional support after seeing him in action in Sell Out! 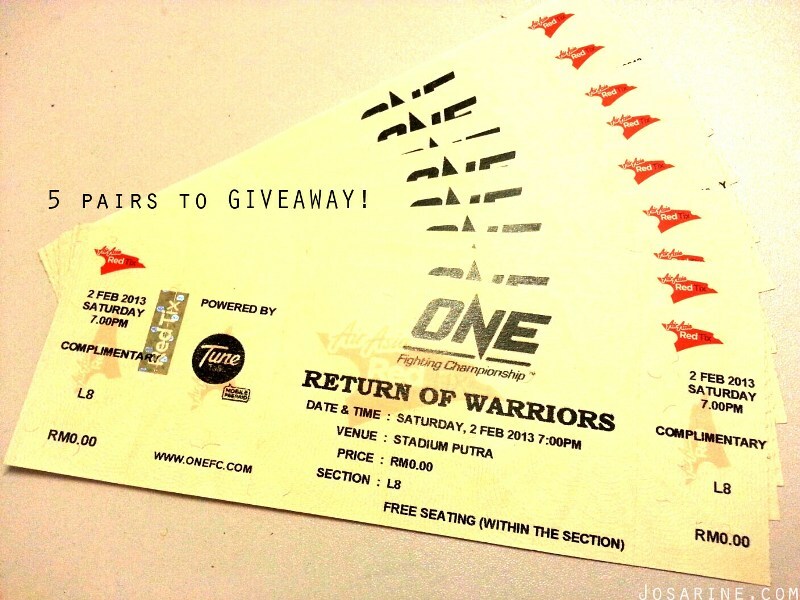 I want the tickets to watch ONE FC because this event will be extremely action packed and will be entertain me. MMA is a world class sport and this sport going to be people's favourite sport in future in our country.